Ward Seyfarth, an executive at Klein and Schroth Meat Co., was married to Florence Klein. Their son Harry became a prominent Chicago attorney and served for many years on the board of the First National Bank of Blue Island. This home is one of two that Robert Seyfarth designed for his brothers in Blue Island (we saw the home for William earlier). Three tall, steep gables puts the architectural massing front and center as the home’s main design statement, while the carefully carved stone surround announces the entryway to the house, typical of Seyfarth’s very best work. 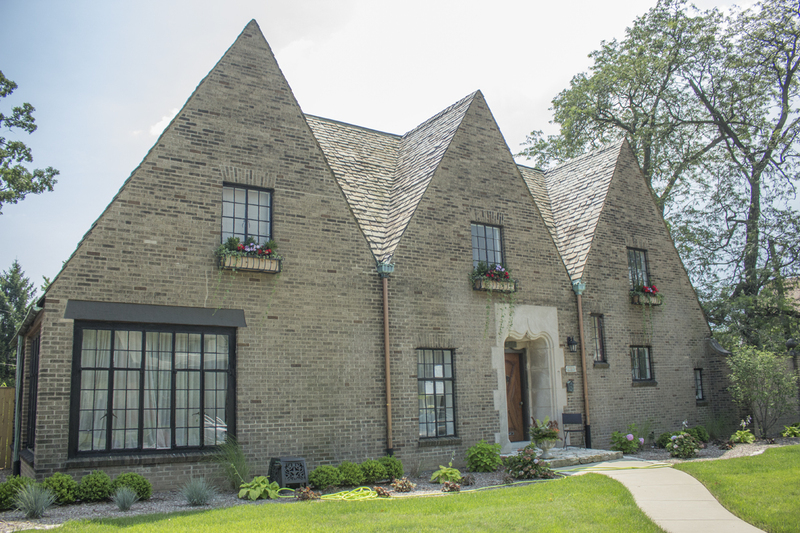 This home has since become one of Robert Seyfarth’s iconic designs and was chosen by Chicago Magazine as one of the 30 most beautiful homes in the Chicago area in 1999.